As sheriff, do you view time in jail as strictly punishment for offenders or an opportunity to expose those offenders to social service opportunities that might be used in rehabilitation? As sheriff, I will see that the detention center is operated in a professional and respectful manner, from our detention deputies to our inmates. Many of the inmates are there for a short term and some have not been convicted of a crime. The detention center is there to provide safe and humane housing for the inmates. For long-term inmates, I will work with mental health for those inmates that need their services. Educational programs will be considered; for example, inmates interested in obtaining their GED. I am running for sheriff because I believe it is time for a change at the Sheriff’s Office. I want to bring my proven leadership to stabilize the department, while being fiscally responsible to the citizens of Gunnison County. I will be transparent in my decisions and reasons for spending your hard-earned dollars. I was born and raised in this county and have seen the changes that have occurred. We are no longer small towns with small town issues. We need someone as sheriff who has dealt with the larger issues that growth can bring. I want to bring to our communities my knowledge and extensive training from over 30 years in law enforcement. I will address the high turnover rate and the north valley issue that greatly affects our service to our citizens. The current administration states that high turnover is a win-win situation for the county, when in fact it is a lose-lose because the Sheriff’s Office will lose experience and it is costly to the taxpayers. On the north valley issue, our county is growing and now is not the time to replace eight well-trained officers and eight patrol vehicles, with four new deputies and one car, who will provide less service at three to four times the cost. We are talking $139,000 as opposed to spending in excess of $560,000. The proposed four-deputy plan will negatively affect the response time that is critical to the safety of our citizens. I have run a positive, honest, truthful and transparent campaign. I want to take this opportunity to thank both newspapers that have endorsed me and the many citizens who have shown their support for my campaign. Because I am vested in the community, I feel I have a responsibility to step up and make a difference for our citizens. I will be a sheriff for all of Gunnison County. I would be honored if you would vote for John Gallowich for sheriff. Best piece of advice you’ve taken to heart. The Gunnison County jail is classified as medium custody jail. It is used by multiple jurisdictions for offenders who have short state sentences, probation violators and those awaiting trial, sentencing or other court appearances and are waiting to post bond or are unable to meet the financial requirements for release. There are no dedicated education or rehabilitation programs. Punitive measures are ordered by the courts. At times, the courts may order an offender to perform “useful public service” through our alternative services program. What we do have is a program called Jail Based Behavioral Health Services, which was launched by Sheriff McKee from Delta County and signed off by all seven sheriffs in the 7th Judicial District on August 9, 2011. This program, which is overseen by the Center for Mental Health, provides for a screening of certain offenders and provides for continuity of care once they are released. This is a rehabilitation and a redirect service for an offender that meets certain criteria. It is confidential and provides for a support system for those in need. Administrators meet monthly in regards to this program. There have been two occasions, during a screening process, that it was determined that there is a safety risk and a suicide attempt was diverted. The culture in our Sheriff’s Office/Detention Center is the same as in our Valley: Respect, caring and compassion for our citizens is practiced daily. Final message to the voters? First of all, thank you. This campaign has reinforced what a great community we have. I have heard the concerns that our citizens have and I am addressing them now and will continue to. I have grown more than I have ever expected. I want to thank you for the outpouring of support and to everyone who has stepped up and sacrificed on behalf of this campaign. I have been touched by citizens that I truly care about. All along this journey, I have built relationships that will last forever. People come to me because I am honestly devoted to our community. Please know I have been working full-time serving our county during this campaign. I haven’t had the free time like my opponent and his campaign associates to knock on doors and visit everyone as much as I would have liked to. We have made great progress at the Sheriff’s Office. I have a great motivated team at the Sheriff’s Office and a great community to support me. I look forward to many years ahead, serving you and accomplishing great things. I want to be your sheriff. Please vote for me. Best piece of advice you’ve taken to heart? What is the county role in the Mt. Emmons situation and what is an ideal outcome? The Mt. Emmons Mine situation is in a much different place now than it has been for decades. For the first time in 40 years we have a sense that the mine will not reopen. 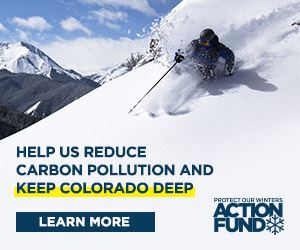 The work put in by the town of Crested Butte, the Red Lady Coalition, High Country Conservation Advocates (HCCA), and the county has been successful. However, the real turning point came several years ago with the acquisition of the mine by the Mt. Emmons Mining Company (MEMCO), under the parent company Freeport-McMoRan. I attended the public community open house on August 30 of this year. At that meeting, MEMCO unveiled its plan to upgrade the water treatment plant in an effort to keep water quality in good condition and make the operation run more efficiently. This is a step in the right direction, but I believe there is still a lot of work to do. The county must continue to work with the stakeholders to ensure environmental improvements at and around the site. The ideal outcome is the permanent removal of the mineral site as a potential resource at the federal level. This will give us all assurance that the mine will not reopen. As your future commissioner, I am dedicated to working toward this goal. Thanks to everyone who has already voted for me and shown your support along the way! For those that are still on the fence, please give me a call at ((970) 922-9653 and let’s talk. When this paper comes out, the deadline to mail in your ballot will have already passed. Make sure you sign your ballot envelope and hand deliver it to one of the designated drop-off locations. Christmas. It is a time to give and receive. There is snow on the ground and the ski area is open. It is a time when the kids are out of school, and Melissa and I are taking a break from work (unless I’m plowing). It is a time to reflect on the previous year and prepare for the year to come. And of course holiday music and lights, presents, tree decorating, the list goes on! “Just get out there. Be yourself and you will be fine.” —Phil Chamberland when I told him I was running for County Commissioner. What is the county’s role in the Mt. Emmons situation and what is an ideal outcome? Mt. Emmons is not an appropriate location for new mining activity. The economic future of Crested Butte is in vacation tourism. The county’s role should be to work with all stakeholders in accepting Freeport’s offer not to mine the site. This means working with federal, state, and local officials. Freeport must ensure that water treatment of the acid mine drainage into Coal Creek will continue without interruption forever. This may require the construction of a new or upgraded water treatment plant at Freeport’s expense. I bring business management experience and education to the Board of County Commissioners. I represent all citizens of Gunnison County being independent in my beliefs. I am not a rubber stamp. There are only three County Commissioners—not tremendous room for diversity of opinion. A modest balance exists presently. A vote for my opponent will upset that balance and leave many unrepresented. If you are unaffiliated and want representation, I’m your guy and vote for me! Any holiday that I am with my family! For me, it is usually the 4th of July or Christmas. I remain idealistic and patriotic. I still believe in duty, honor, and country and having served our country in war, the 4th of July will always be special to me. Christmas is still my favorite. It has religious and cultural traditions and it is a wonderful season. In Crested Butte, the mountains, snow, holiday atmosphere, and decorations make it special. I always enjoy family around the Christmas tree, the feeling of giving, holiday spirit, and the singing of Christmas Carols.